Disclosure: This duo was sent to me in exchange for a review. All opinions are my own. Warning: This post is very photo-heavy. 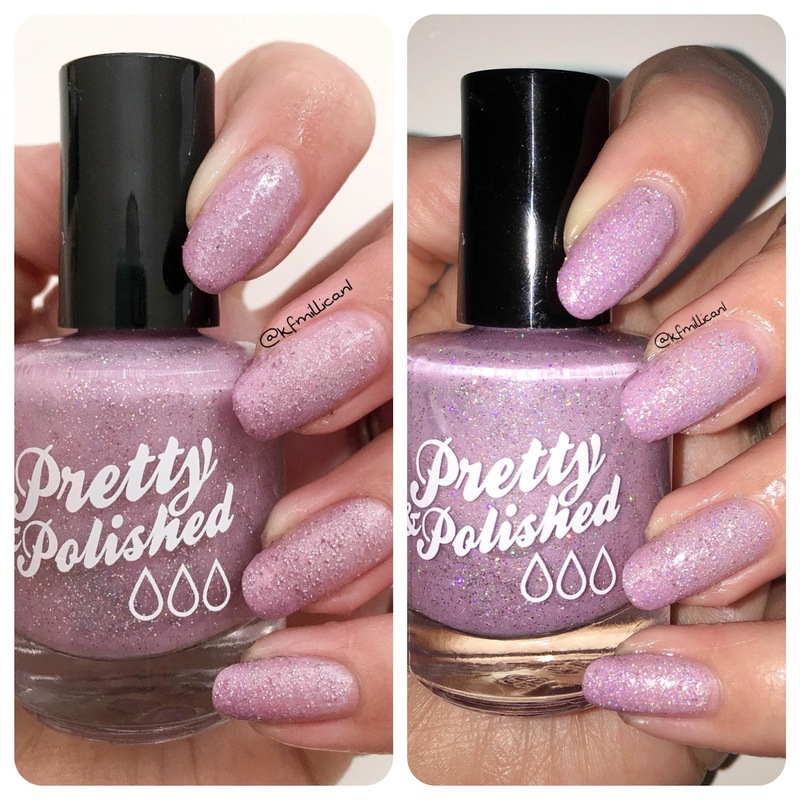 This post is a little different than my normal posts, this is a preview to see the newest limited edition duo by Pretty & Polished for Valentine's Day that is going to be released on January 8th! These polishes are being sold separately for $9.00 each, which is a wonderful price! 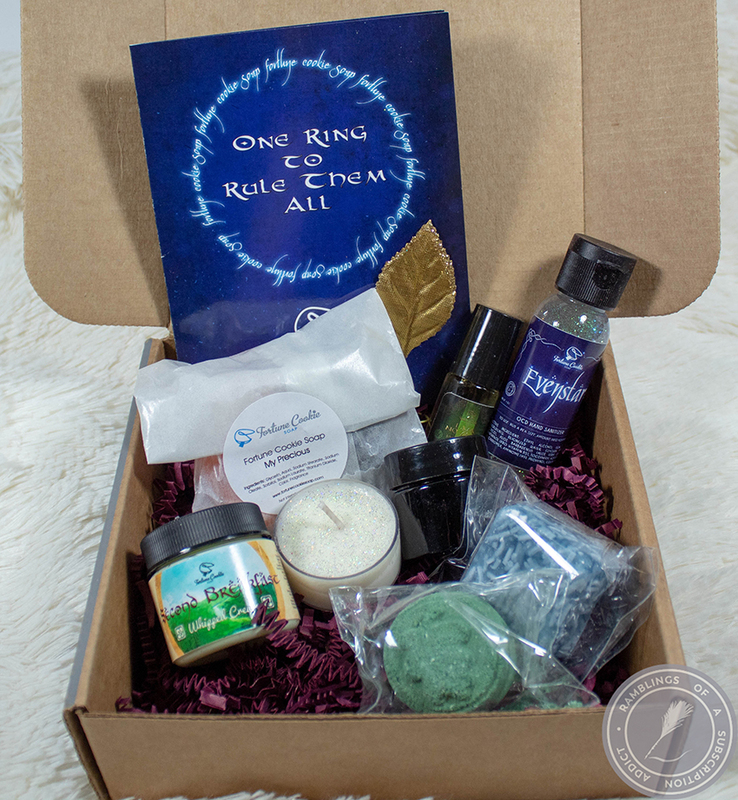 There are only 100 bottles of each, so make sure to grab your polishes quick! Candy Kiss is first up. It's a gorgeous thermal (color-changing) polish with a smattering of holographic glitter! I used two coats in my swatches to show off the texture of the polish. It does require at least two coats of top coat to smooth it out, but below swatches are without top coat to show the lovely matte finish! Swatch warm, natural lighting and with flash. When it's warm, Candy Kiss a very light, very pale lilac. The color doesn't really change whether it's under flash or in natural lighting. You can see a bit of the glitter in this picture, however! Swatch, cold, natural lighting and with flash. When it's cold, Candy Kiss a gorgeous shade of orchid leaning a bit pink. Very gorgeous, very perfect for Valentine's Day. It's a gorgeous romantic shade when it's cold, and you can see the slightest amount of transition on my nail beds (thank you, crazy Georgia weather). 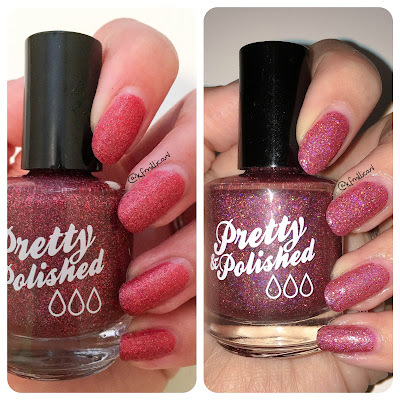 Bleeding Hearts is the second polish that's part of this Valentine's Day Duo! Of course, there had to be a red for Valentine's Day! 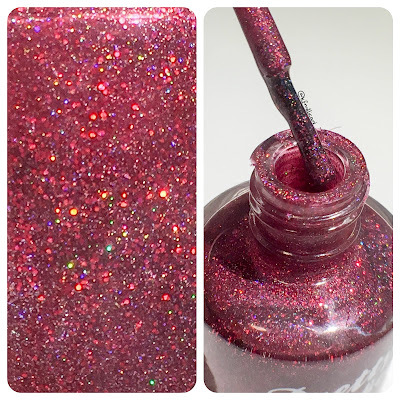 This one is a gorgeous ruby red with tons of red glitters as well as holographic glitters! 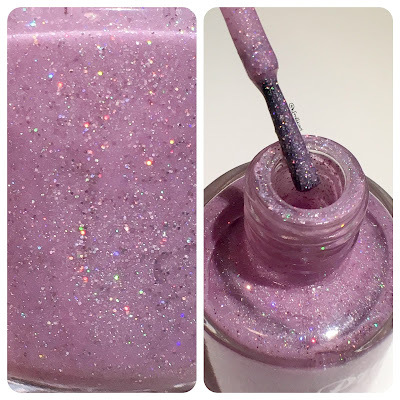 This polish also dries to a matte finish and will require a top coat to smooth it out and to give your polish a shine finish! I also used two coats on this polish to be opaque. Swatch, warm, natural lighting and with flash. When warm, this Bleeding Heart is a lovely cardinal shade of ruby. When under direct lighting, a darker color comes out. The glitter pieces are much more evident and easily seen in this polish, but shows even better in the cold pictures below. Swatch, cold, natural lighting and with flash. I absolutely love this polish while cold, I actually need a polish that's this color all of the time! 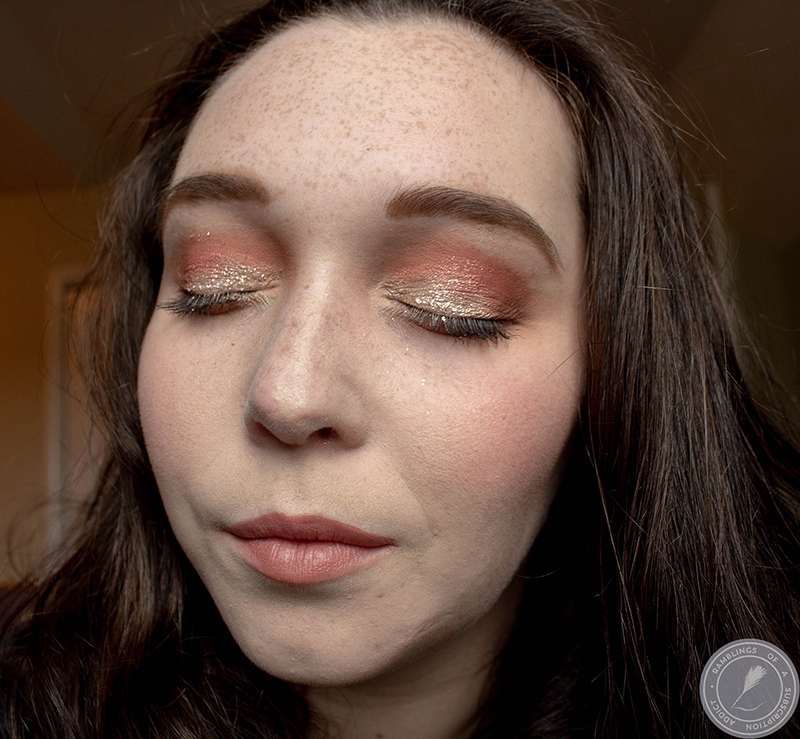 Bleeding Hearts is a gorgeous burgundy-ruby while cold, and the holographic glitter is super evident in the flash picture. Honestly, who could look at this polish and not want it? 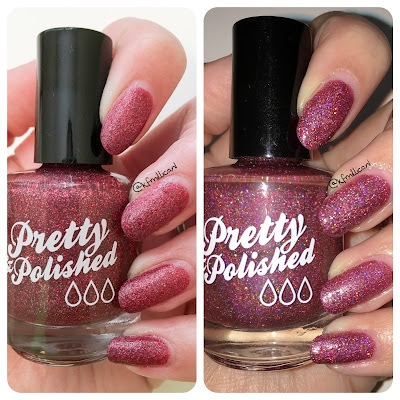 Like I said before, these two polishes are going to be available on January 8th only on Pretty & Polished. They are limited, so make sure to grab your bottles before they're gone! 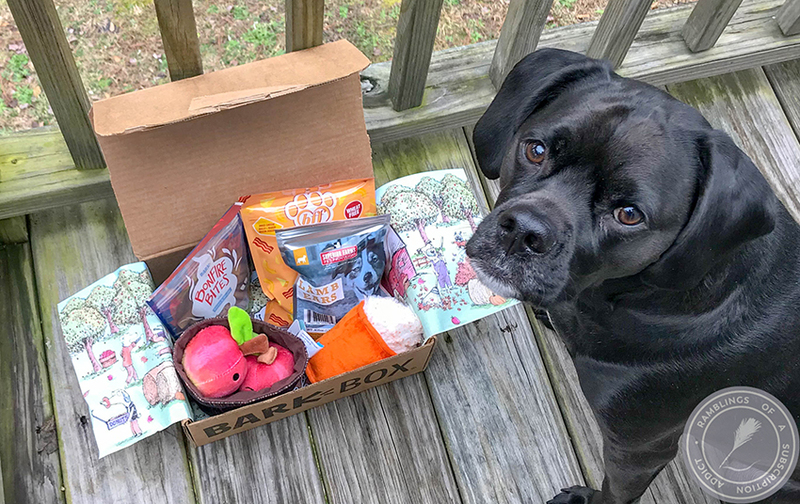 They are $9.00 each, but I suggest going ahead and getting the February Beauty Box as well while you're at it!